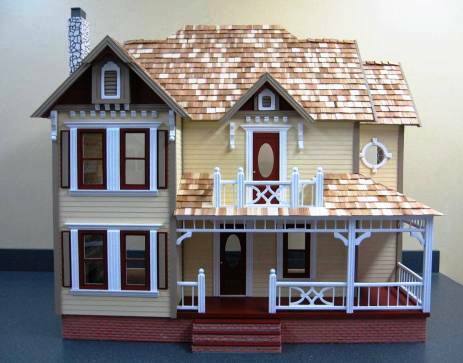 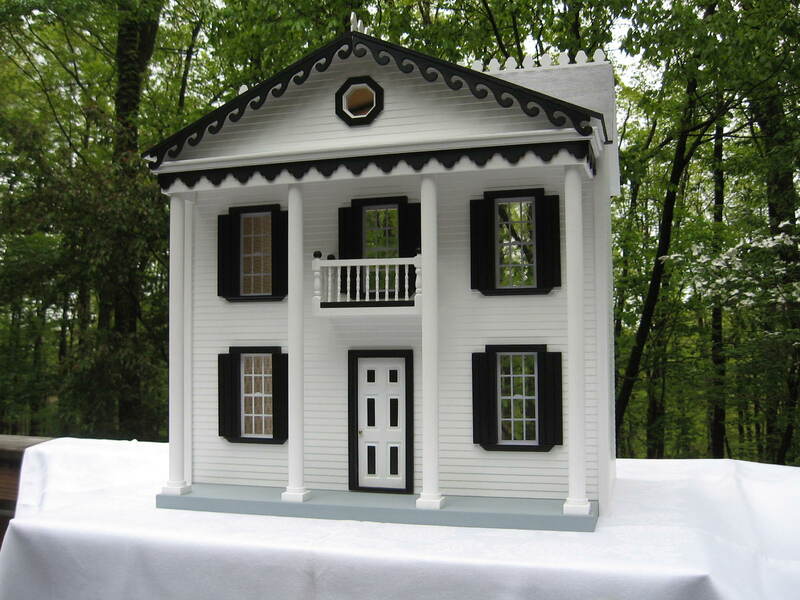 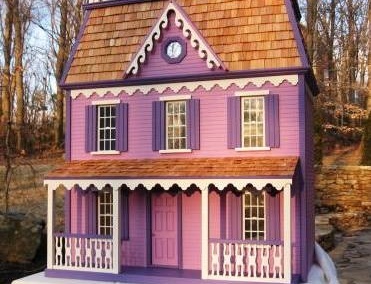 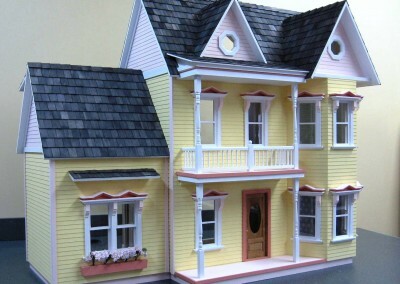 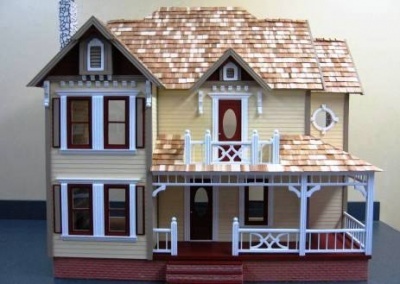 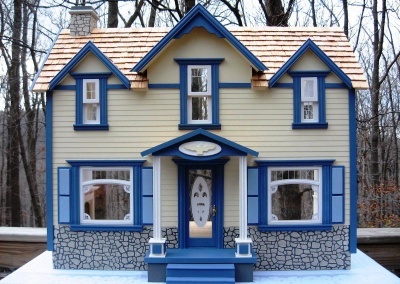 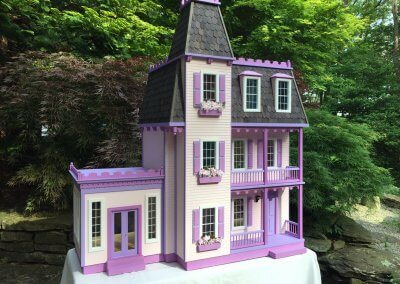 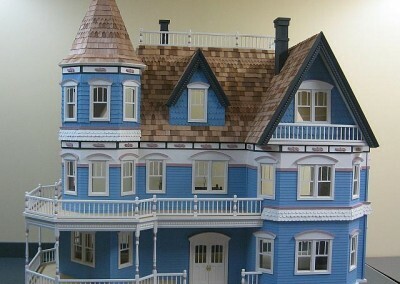 creates beautifully handcrafted custom dollhouses that are quality heirlooms you can pass down to your kids and grand kids. 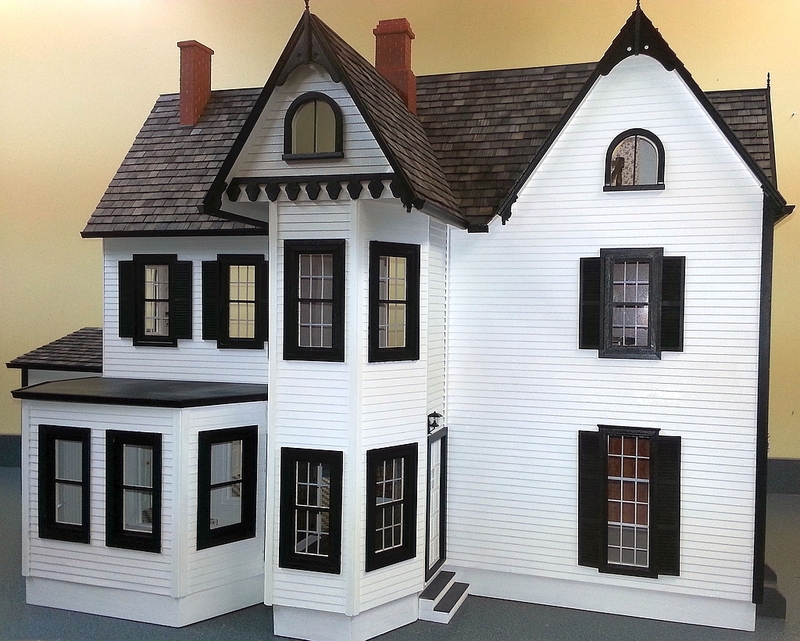 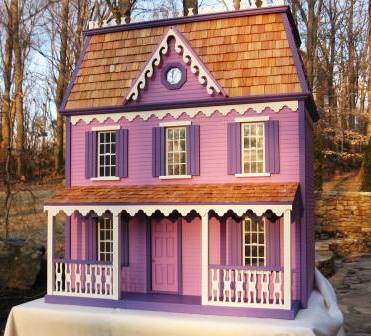 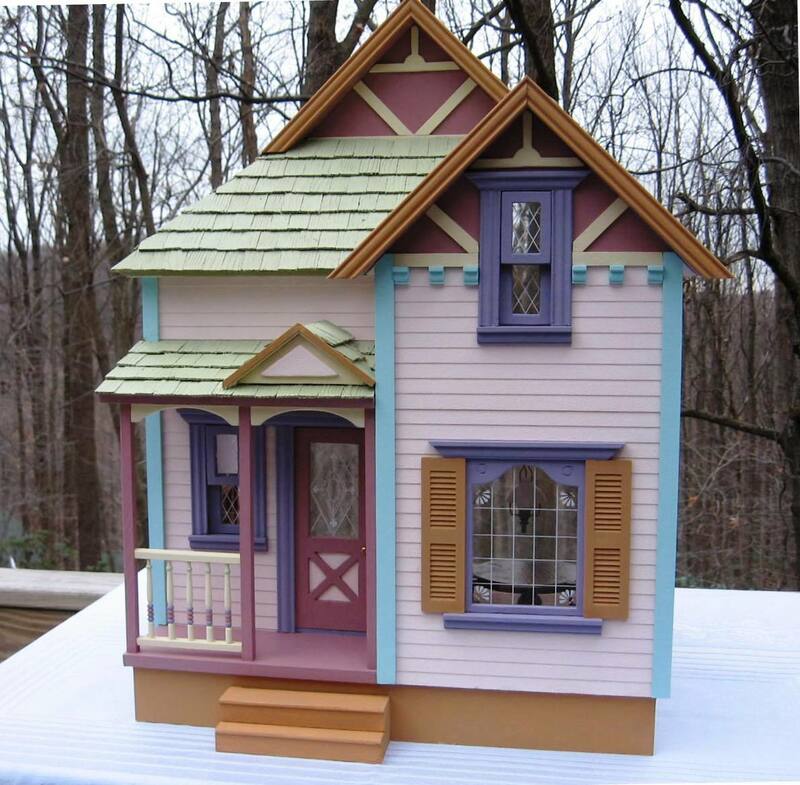 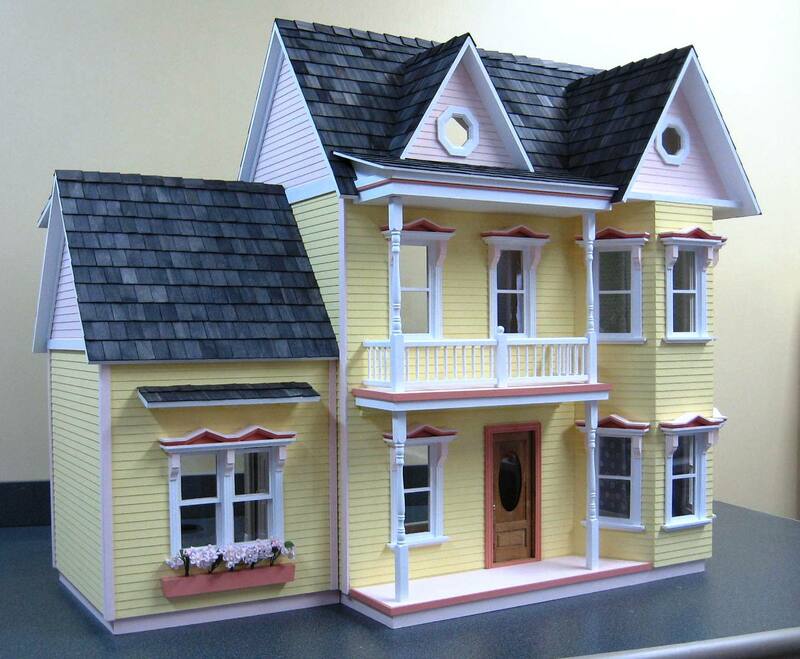 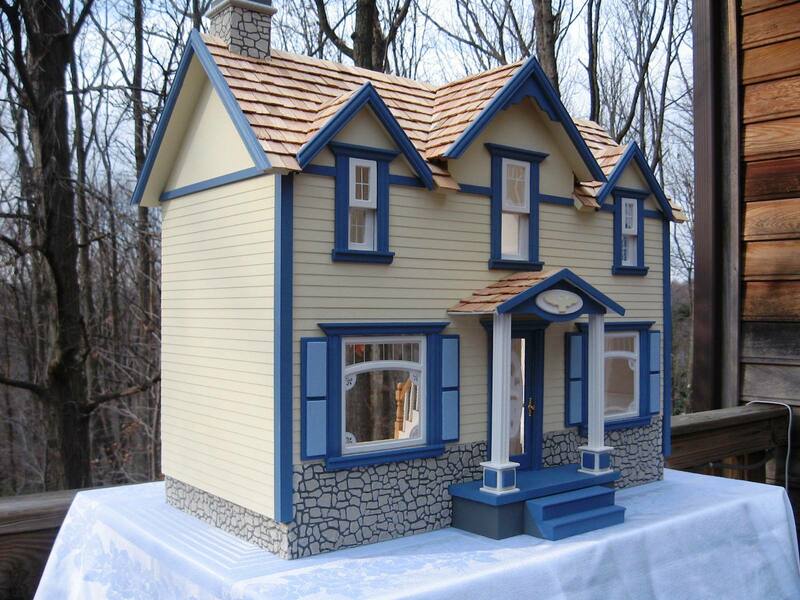 Our dollhouses are finished with great attention to detail and are ready for your favorite miniatures. 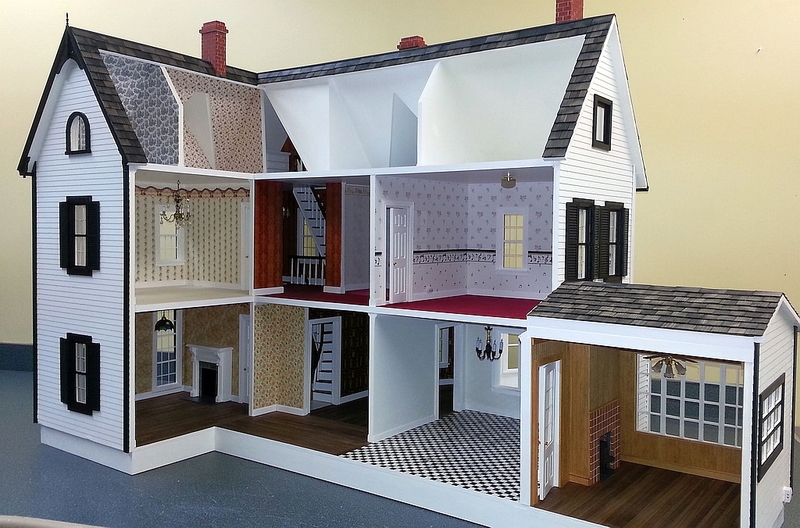 Every room is decorated to include coordinated wallpaper, hardwood and tile flooring, baseboard and crown molding. 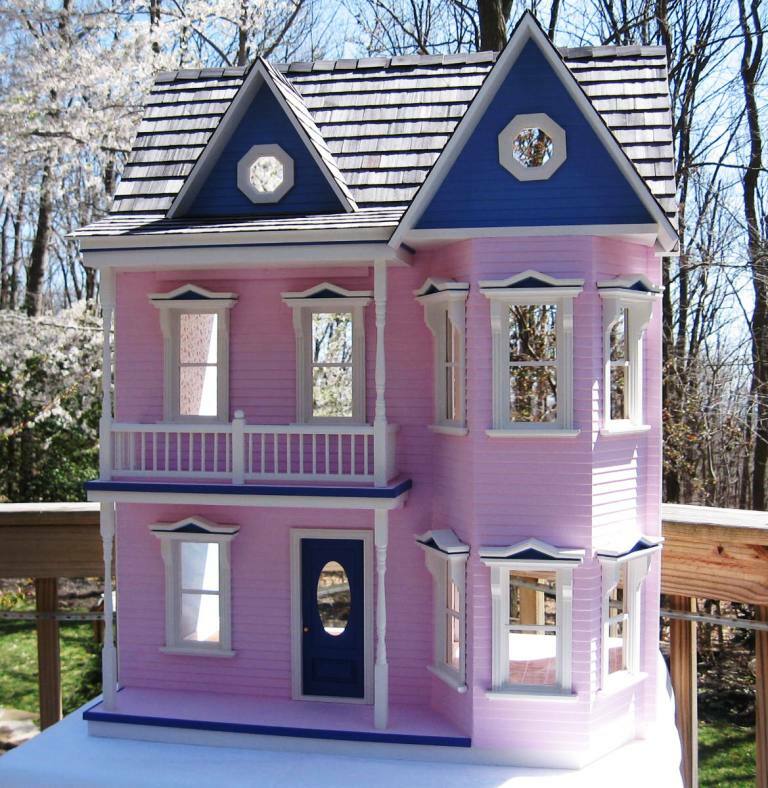 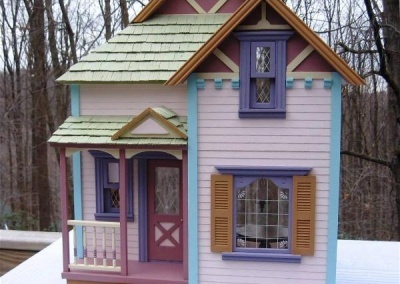 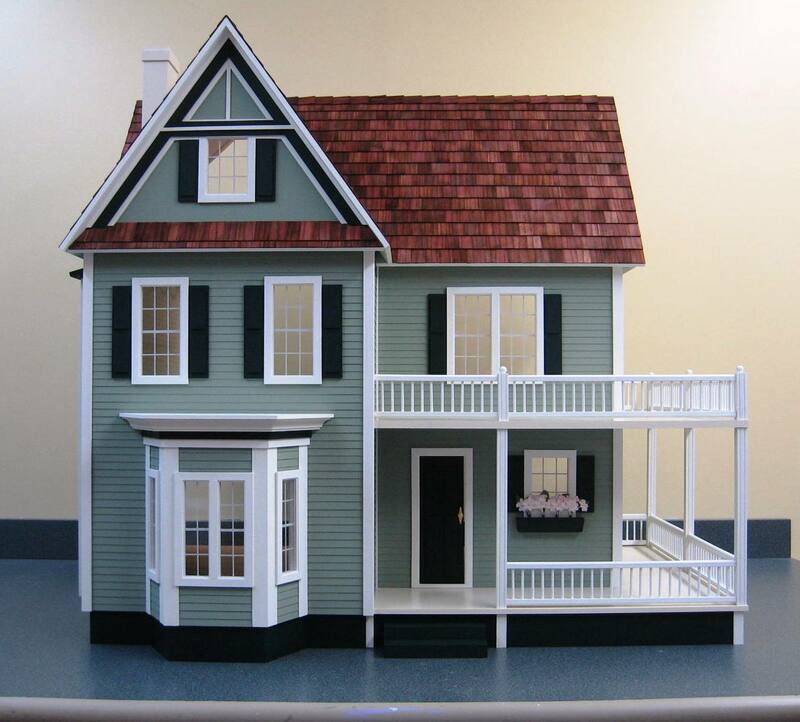 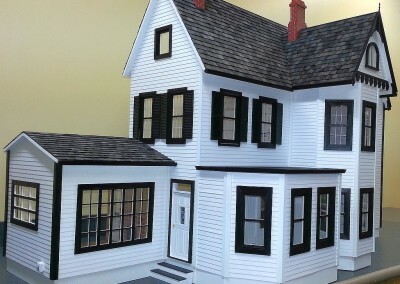 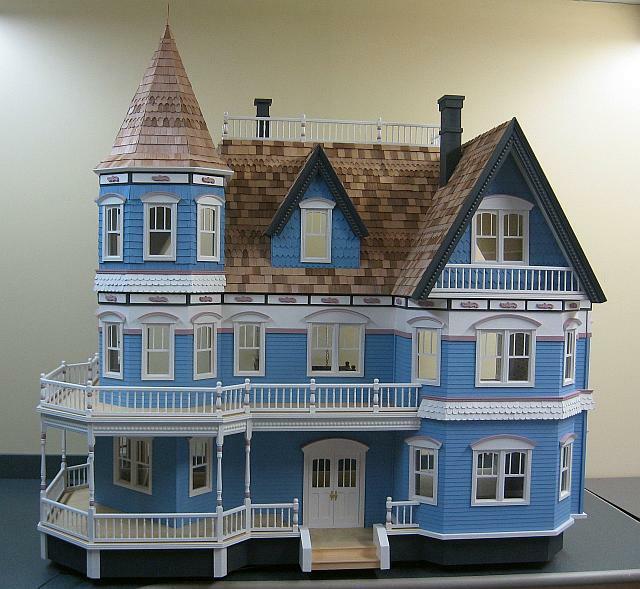 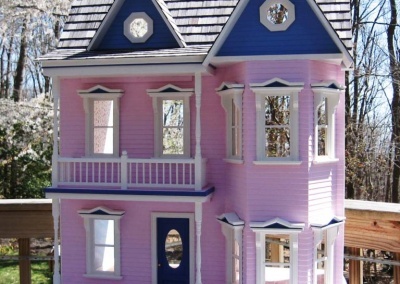 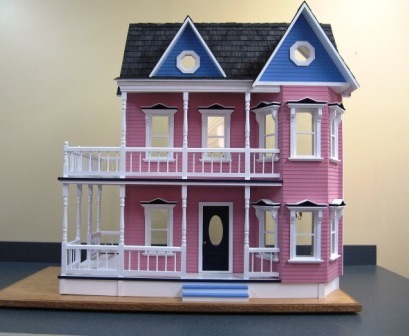 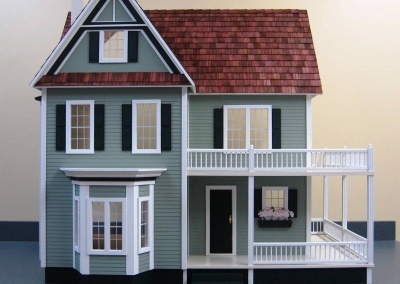 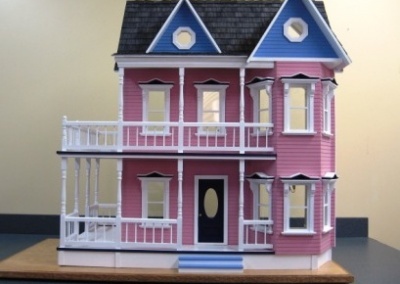 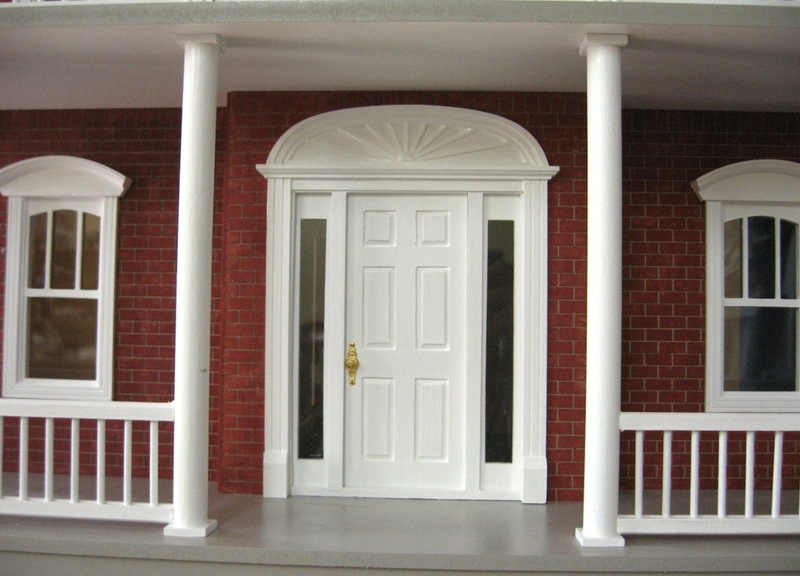 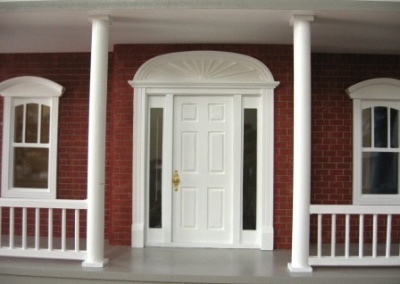 Many of our dollhouses are electrified and include custom features such as elaborate staircases, interior doors, built-in bookcases, fireplaces, paneling, and brickwork. 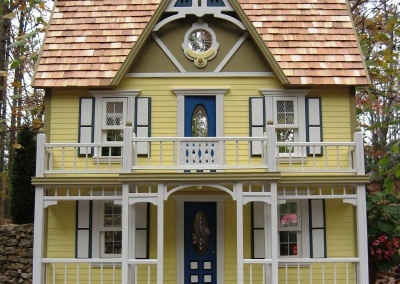 We are temporarily closed during our move from our home in Frederick, MD to our new place in sunny St. Augustine, FL. 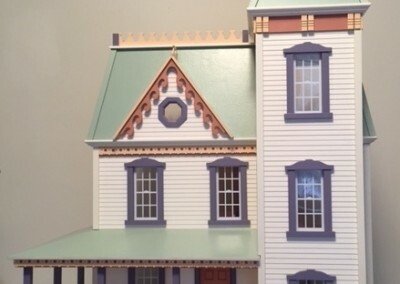 We hope to be up and running again by Summer 2019.